Lieutenant Post had just returned from 15 days’ compassionate leave (22 January–5 February 1914). His father, Henry Albertson Van Zo Post, had died at the family home in Manhattan, New York City, 25 January 1914. 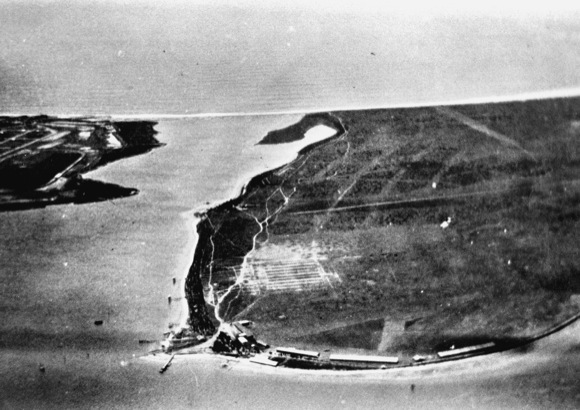 SAN DIEGO, California – February 9, 1914 – Lieutenant Henry B. Post of the First Aero Corps, considered one of the most skillful United States Army aviators, plunged to his death in San Diego Bay today, when the right wing of his hydro-aeroplane crumpled. Lieutenant Post died after establishing an American altitude record of 12,120 feet. He fell 600 feet into shallow water and was dead when Francis Wildman, another aviator, reached the spot in a flying boat. Lieutenant Post left the North Island hangars at 8:50 o’clock this morning after having declared his intention of breaking the American altitude record for hydro-aeroplanes. Within an hour he had attained a height of 12,120 feet, the barograph showing this figure when recovered from the wreckage. A series of wide spirals was a feature of the descent, the machine appearing to be under perfect control. When within 600 feet of the water the plane was seen to collapse, then careen. The next instant the pilot was hurled from his seat and the machine dropped like a bullet. Post fell into five feet of water, the wrecked craft disappearing from sight a few feet away. Captain Arthur S. Cowen, head of the First Corps, said the machine which Lieutenant Post was piloting was responsible for the accident. “The man has the natural ability of a born flyer, and it had to take the breakage of his machine to cause his death.,” said Captain Cowen. “The death of Lieutenant Post only substantiates the charge that I made against the policy of the United State Government last November,” said Lincoln Beachley, aviator, in a telegram received here tonight. “At that time I blamed Congress for the deaths of the Army and Navy aviators. I do not believe Government aviation would be much better off if the $2,000,000 or $3,000,000 appropriation for the supposed betterment of the flying branch of the services were made. They simply would have a little more machines with which to kill off more officers. Some time ago Beachley told Secretary Garrison that Army aviators were losing their lives because the equipment supplied to them was old. Lieutenant Post was 28 years of age. He came here June 28, 1913 from Honolulu where he was attached to the Twenty-fifth Infantry, and became a military aviator November 11. He is survived by his widow and his sister, who came here recently to visit him from their home in Babylon, New York, where his mother also resides. His brother, V. Z. Post, is a novelist. His father died two weeks ago. The body will be sent to Washington for interment in the Arlington National Cemetery. The death of Lieutenant Post was the fourteenth aviation fatality to occur in the United States Army and Navy service. Beside the fourteen officers killed, two civilian instructors, Al Welch and Paul Beck, lost their lives while experimenting with Army machines. The first officer killed was Lieutenant Thomas Selfridge on September 17, 1908. He was flying as a passenger with Orville Wright at Fort Myer. Lieutenant Selfridge was the first man to lose his life in an aeroplane accident. The other officers who lost their lives were: Lieutenant G. E. M. Kelly, on May 10, 1911, at San Antonio; Lieutenant L. W. Hazelhurst, jr., on June 11, 1912, at College Point, Maryland; Lieutenant L. C. Rockwell and Corporal Frank Scott at College Point on September 28, 1912; Lieutenants Rex Chandler and Lewis H. Brereton at North Island on April 8, 1913 [Note: Brereton survived the accident and rose to the rank of lieutenant general.—TDiA]; Lieutenant Joseph D. Park on May 9, 1913 at Los Angeles; Ensign William B. Billingsley on June 30, 1913 while flying over Chesapeake Bay; Lieutenant Loren H. Call on July 8, 1913 at Texas City; Lieutenant Moss L. Love on September 4, 1913 at San Diego; Lieutenant C. Perry Rich on November 14, 1913 when he fell into Manila Bay; and Lieutenant Kelly at San Diego on November 24, 1913. — The New York Times, 10 February 1914, Page 1. Henry Burnet Post was born at Brooklyn, New York, 15 June 1885. He was the last of seven children of Colonel Henry Albertson Van Zo Post, a Civil War veteran, engineer and railroad equipment financier, and Caroline Burnet McLean Post. Henry Post entered the School of Applied Science at Columbia University as a member of the Class of 1906. He studied mechanical engineering. While at the University, he was a member of the Alpha Chapter of the Delta Psi (ΔΨ) fraternity, and in 1905, was president of the sophomore class. Post was also a member of the Deutscher Verien (the German club). He participated in varsity athletics, playing the position of Left End on the University football team and the Stroke of the Varsity Eight Crew. On 28 January 1910, Henry Post enlisted as a private in Troop 4, Squadron A, of the New York National Guard. He served with the Guard’s 1st Aero Squadron. On 11 February 1911, Post was commissioned as a second lieutenant in the 25th Infantry Regiment, United States Army. Lieutenant Post then attended the School of Musketry at the Presidio of San Francisco in San Francisco, California. He completed the course 6 January 1912. Lieutenant Post joined Company E, 2nd Battalion, 25th Infantry, at Schofield Barracks on the island of Oahu, Territory of Hawaii, 22 March 1912. During 1913, Schofield Barracks suffered an epidemic of typhoid fever as a result of a “gross pollution of the water supply.” Lieutenant Post was “sick in quarters (line of duty)”and quarantined from 27 January to 12 February 1913. He then returned to duty with Company E.
On 5 July 1913, Lieutenant Post was detached from Company E to attend the Signal Corps Aviation School, San Diego, on North Island, for training as an airplane pilot. 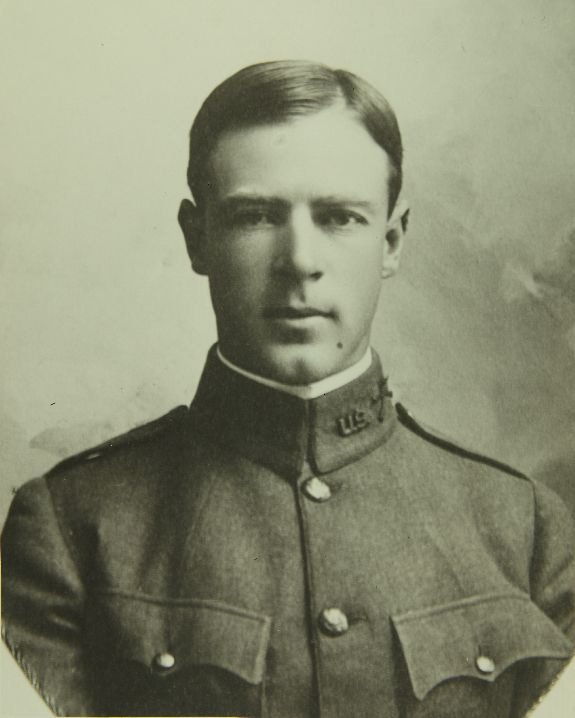 Second Lieutenant Henry Burnet Post, 25th Infantry Regiment, United States Army, died in the line of duty at San Diego, California, 9 February 1914. He was buried at the Arlington National Cemetery, Arlington, Virginia. Post Field, Fort Sill, Oklahoma, (now, Henry Post Army Airfield) was named in his honor. 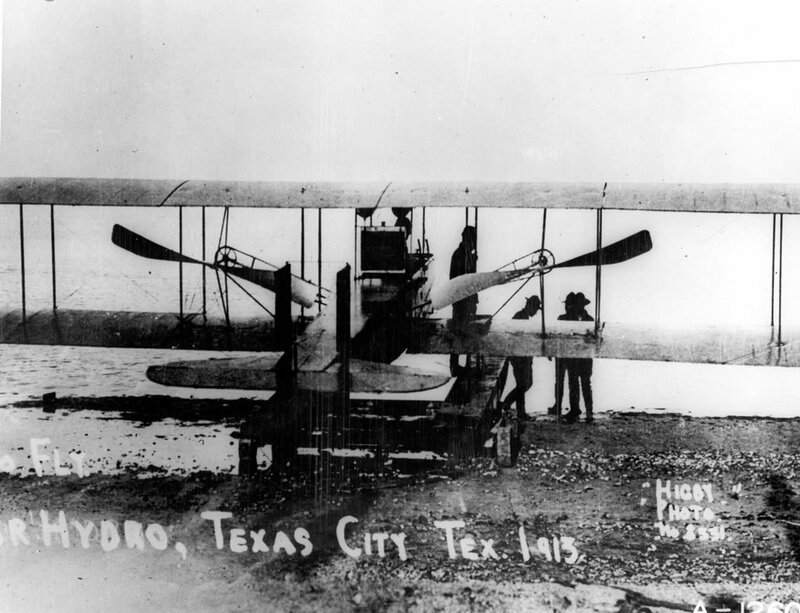 The airplane flown by Lieutenant Post during his record-setting flight, and subsequent fatal accident, was a Wright Model CH hydro-aeroplane, Signal Corps serial number S.C. 10. (This was the second S.C. 10. 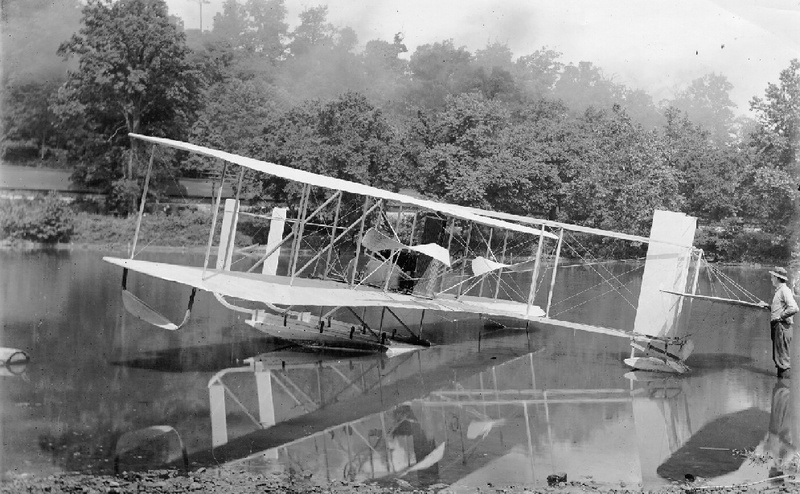 The first, also a Wright Model C, had been destroyed in a crash during acceptance trials at College Park, Maryland, 11 June 1912. Arthur L. Welsh, a Wright Flying School instructor, and 2nd Lieutenant Leighton Wilson Hazelhurst, Jr., were killed.) The U.S. Army Signal Corps had purchased six of these airplanes. 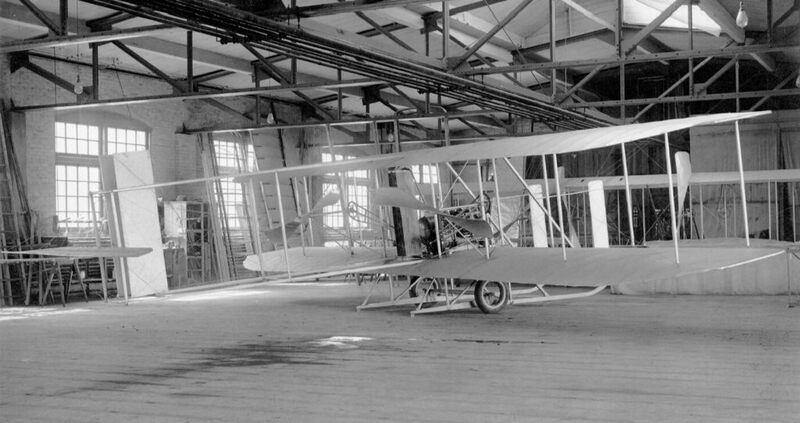 The Model C was similar to the earlier Model B, though it had dual flight controls. The wings were shorter and the rudder taller. The Wright Model CH was 28 feet, 6 inches (8.687 meters) long, with a wingspan of 38 feet, 0 inches (11.582 meters). The upper and lower wings had 5 feet, 0 inches (1.524 meters) vertical separation. The airplane weighed 1,160 pounds (526 kilograms), including the 240 pound (109 kilogram) float. 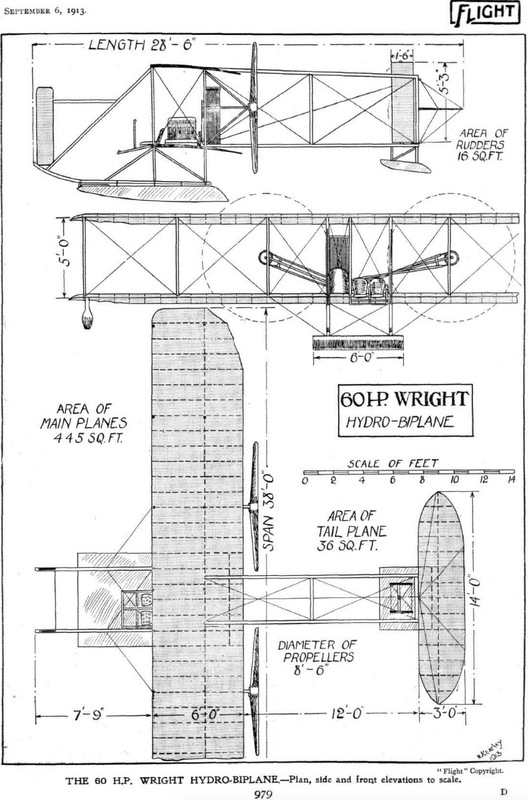 Three-view illustration of the Wright Model C.H. Hydro-Aeroplane. (FLIGHT, No. 245 (Vol. V., No. 36), 6 September 1913, Page 979)The airplane was powered by a water-cooled, normally-aspirated, 405.891-cubic-inch-displacement (6.651 liters) Wright inline 6-cylinder overhead-valve engine which produced 50–75 horsepower between 1,400–1,560 r.p.m. The Wright “6-60” weighed 305 pounds (138 kilograms). Two 8 foot, 6 inch (2.591 meter) diameter, two-bladed, fixed-pitch, counter-rotating propellers, driven by a chain drive and turning 525–575 r.p.m., are mounted behind the wings in pusher configuration. The Model C had a maximum speed of 55 miles per hour (89 kilometers per hour). All six of Signal Corps’ Wright Model C airplanes had crashed and been rebuilt at least once. The airplanes were prone to aerodynamic stall because of the pusher propeller configuration. As the pilot raised the nose, the propellers’ thrust vector accelerated the rate of pitch change. The wings stalled and the nose pitched down. There was insufficient elevator authority to bring the airplane out of the dive. By the end of 1913, eleven Army pilots had been killed while flying Wright Brothers’ airplanes, five of them were flying the Wright Model C. Lieutenant Henry Burnet Post was the sixth pilot to die while flying the type. Within a week of Lieutenant Post’s death, the Army grounded all pusher-type airplanes and prohibited their future use. This ended the Wright Brothers’ business with the United States Army. Great site, check it all the time and always learn something. However, on this entry in the paragraph where it lists all the aviators killed in action, on 8 April 1913 it has Lt Rex Chandler and Lt Louis Brereton. It should be just Chandler as Brereton survived the accident and made Lt General before retiring. He is the only Air Force officer to have served on active duty in the Air Force and all its antecedents. Kind of hard to do that if you are dead! Lincoln J. Beachey (not Bleachley) was a pioneer American aviator and barnstormer. He became famous and wealthy from flying exhibitions, staging aerial stunts, helping invent aerobatics, and setting aviation records. His specially built Curtiss aircraft was named “Little Looper”. Ted, as I mentioned to John, below, the error lies within the original New York Times article. I felt it was inappropriate to correct an original document. But thanks for pointing out the mistake.